1971. 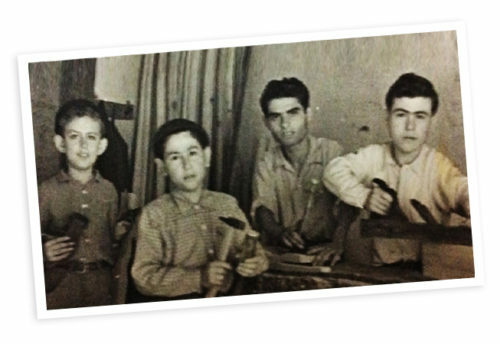 This is the year when Vitantonio Coletta founded, in Carbonara of Bari, Infissi del Sud’s cabinetry, a workshop family ,intially devoted only to wooden fixtures’ creation. The passion for wood and for its manufacturing motivated his son Domenico and, later, also his grandson Antonio to dedicate with attention to the realization of interior furnishings custom-made of solid wood,become during the time the distinctive mark of the company. Antonio’s crowing interest for design, brought the company to create different partnerships with a variety of native designers and to build, inside, a planning office able to give to the customer a complete environment solution. The importance approved to design and the desire of new challenges, bring Infissi del Sud creating in 2015 its first collection of furnishings, Apulia Design. Passion, tradition, culture and innovation are, therefore, the words which describe a reality like that of Infissi del Sud, deeply- rooted in the territory and attentive to its origns without giving up to grow and innovate ourselves. And so it begins a long investments period which convert the small workshop in a company of about 1000 square meters, where everyday its ten craftsmen realize excellent interior furnishings, caracterized by a valued design, a great originality and they are custom-made to satisfy the most different requestes. 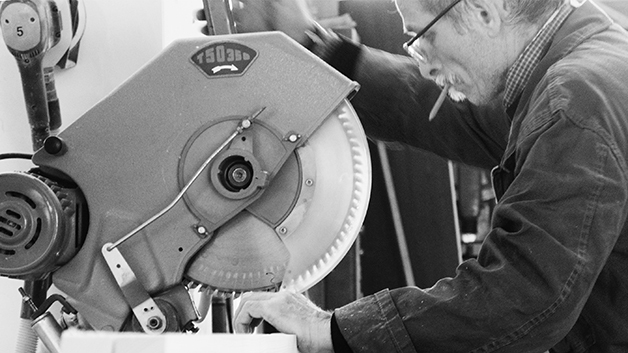 The inevitable industrialization and innovation process, realized, for example, with the combined use of wood and materials like steel, glass and Corian®, has not removed the craftsmanship and the dexterity of a part of the productive process.